was born in the town of Wyche (modern Droitwich, Worcestershire) in 1197. A member of a gentry family, he initially farmed his elder brother’s estates who, according to legend, offered him land and a marriage arrangement but Richard refused these, preferring a life of study and the church. He was educated at the University of Oxford and soon began to teach there, proceeding to the University of Paris and then the University of Bologna. In 1235, upon his return to England, he was elected chancellor of Oxford University and in about 1237, became chancellor of the diocese of Canterbury under Archbishop Edmund Rich. refused to confirm Passelew, so both sides appealed to the Pope. The king confiscated the See’s properties and revenues but Pope Innocent IV confirmed Richard’s election and consecrated him bishop at Lyons in March 1245. Richard then returned to Chichester but the king refused to restore the See’s properties for two years, and then did so only after being threatened with excommunication. Henry III forbade anyone to house or feed Richard! At first, Richard lived at Tarring, Sussex in the house of his friend Simon, the local parish priest. 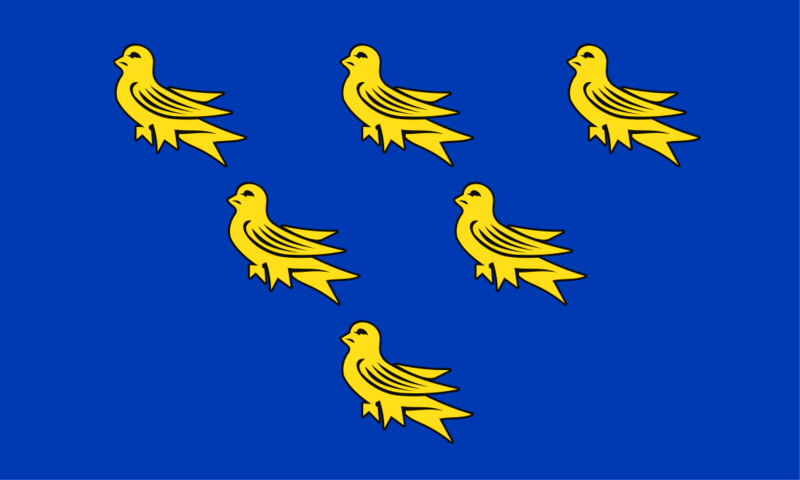 Richard visited his entire diocese, practically the whole county of Sussex, on foot. in Chichester on 16th June 1276. This date therefore later became the feast day of Saint Richard and has been celebrated in Sussex ever since. On the 16th of June 1276, Chichester was for a few hours the centre of England, when King Edward I, Queen Eleanor, the Archbishop of Canterbury and other bishops, and a great crowd of people came to honour St Richard. He had been Bishop of Chichester for just over eight years but in that brief time became beloved of the people of Sussex. His tomb immediately became a place of pilgrimage and prayer. known as the ‘Cross of St Richard’. ” Father we give you thanks that your glory is revealed in St Richard. In his life you have given us an example of faithfulness to Christ. In his holiness we find encouragement and hope. flew over Eastbourne bandstand on June 16th, 2017. This entry was posted in Sussex. Bookmark the permalink.